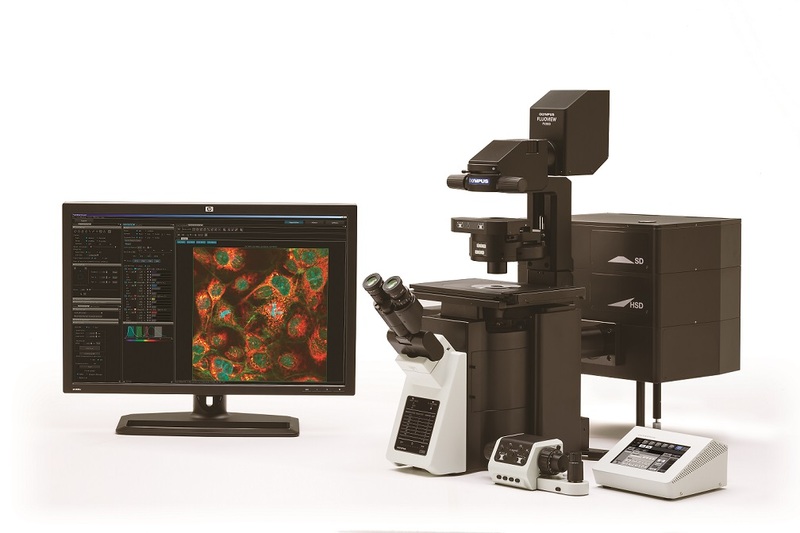 Built for fast, stable and accurate measurements of biological reactions within living cells and tissues, Olympus’ FV3000 offers flexibility for all live-cell imaging applications, providing high-resolution images of structures and dynamic intracellular processes. Succeeding the well-established FV1200, the FV3000 is controlled via a new, intuitive software interface so even novice users can generate high-quality data and images. Meeting today’s application demands the system’s new optical design offers unique macro to micro imaging capabilities with objectives ranging from 1.25X to 150X magnification. Users can choose either the FV3000 with galvanometer scanner or the FV3000RS with a hybrid resonant / galvanometer scanner. The high-speed resonant scanner enables users to acquire high-resolution images at up to 438 frames per second so scientists can observe fast-changing processes. The Olympus TruSpectral detection system is optimised for maximum efficiency when delivering emission light to detectors. Users have the freedom to select the exact wavelength range they wish to capture in every detection channel at nanometer precision. FLUOVIEW software has been designed with an intuitive interface that can be tailored to adapt to the way an individual works. Users can create and save workflows and customise the interface’s layout for easy access to commonly used applications. A new system architecture enables researchers to execute a variety of observation procedures such as changing the scanning range or laser light midway through an experiment with millisecond precision.